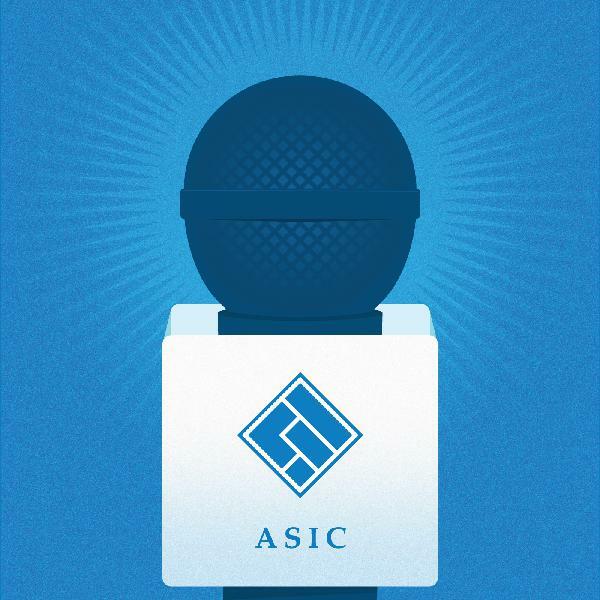 The ASIC Podcast | Listen Free on Castbox. ASIC has today released its enforcement update report for the period 1 July 2018 to 30 December 2018.A copy of the report - outlining key actions taken over the past six months to enforce the law and support our enforcement objectives - can be found here.The report also covers ongoing areas for particular focus, including ASIC Deputy Chair Daniel Crennan QC’s discussion of recent reforms enabling ASIC to pursue harsher civil penalties and criminal sanctions against banks, their executives and others who have breached corporate and financial services law. ASIC has welcomed the passage of key financial services reforms contained in the Treasury Laws Amendment (Design and Distribution Obligations and Product Intervention Powers) legislation introducing:a design and distribution obligations regime for financial services firms; anda product intervention power for ASICThe design and distribution obligations will bring accountability for issuers and distributors to design, market and distribute financial and credit products that meet consumer needs. Phased in over two years, this will require issuers to identify in advance the consumers for whom their products are appropriate, and direct distribution to that target market.The product intervention power will strengthen ASIC’s consumer protection toolkit by equipping it with the power to intervene where there is a risk of significant consumer detriment. To take effect immediately, this will better enable ASIC to prevent or mitigate significant harms to consumers.These reforms were recommended by the Financial System Inquiry in 2014 and represent a fundamental shift away from relying predominantly on disclosure to drive good consumer outcomes. Mr Nakhl engaged in dishonest conduct and was found guilty in the District Court of New South Wales. The court set Mr Nakhl a non-parole period of 6 years.View the ASIC media release (19-055MR) for more informationMr Nakhl was convicted on eight charges (18-178MR), brought by ASIC, of engaging in dishonest conduct with investor funds. The conduct affected 12 investors while Mr Nakhl was a representative of Australian Financial Services Limited (in liquidation) and as sole director of SydFA Pty Ltd (deregistered).The court found Mr Nakhl advised clients to set up self-managed superannuation funds and to invest their superannuation and other funds in products such as shares, managed funds and high interest rate bank accounts. Rather than investing the 12 investors’ funds in these products, Mr Nakhl used these funds 'as he pleased' and for his own purposes.Mr Nakhl then lied to the investors, telling them that he had invested their funds in accordance with his advice and that their investments were performing well. Mr Nakhl also tried to cover up his wrongdoing by having these 12 investors sign documents that supposedly authorised Mr Nakhl to use the funds in the way he did.These 12 investors allowed Mr Nakhl to invest approximately $6.7 million on their behalf. Mr Nakhl lost approximately $5.1 million of these invested funds. 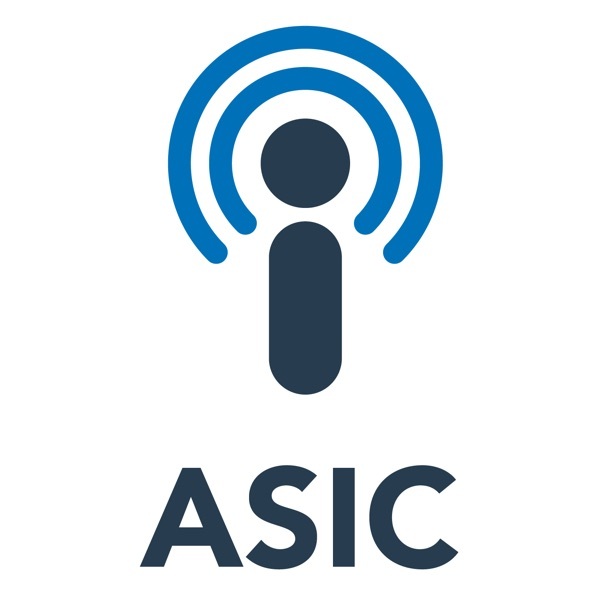 ASIC Commissioner John Price joins the podcast to discuss ASIC’s review of climate risk disclosure by listed companies in Australia.You can read the full transcipt below.TRANSCRIPTHOST: Hello, and welcome to the official podcast of the Australian Securities and Investments Commission.In today's episode, we'll be discussing ASIC’s review of climate risk disclosure by listed companies in Australia.My name is HOST Heilbuth and with me this time around is ASIC Commissioner, John Price. John, thanks for your time.JOHN: Thanks very much.HOST: Before we talk about ASIC’s report, can you define what we mean by climate risk?JOHN: A global Task Force on Climate-related Financial Disclosures puts climate-related risks into two main categories.The first is risks related to the transition to a lower-carbon economy. The transition includes policy, legal, technology and market changes – and this presents a number of risks to Australian companies. The second is a series of risks related to the physical impacts that result from climate change. This can be extreme weather and shifts in climate patterns, such as sea level rises and sustained higher temperatures.HOST: What role does ASIC play in this space?JOHN: Firstly, we are very focussed on encouraging strong and effective corporate governance. We consider the management of issues such as climate change begins with good corporate governance. Within listed companies, this should be led by directors and senior management. Companies that have effective corporate governance practices are better equipped to develop and implement effective strategies to manage risks and opportunities, and that of course includes climate risk.Secondly, we are also focussed on disclosure. Where the law requires it, ASIC is focussed on making sure that companies disclose material climate change risks. Disclosure of risks – like climate change and other risks – helps investors to be better informed when they make their important investment decisions.HOST: ASIC’s surveillance project examined how listed companies disclose climate risk. What did ASIC find?JOHN: What we found is that listed companies need to do more to comply with their disclosure obligations, especially outside of the top-200 listed companies.Of the 60 listed companies in our ASX 300 sample, when we did our work around climate change, 17% identified climate risks as material risk to their business.While most of the reviewed ASX 100 entities had considered climate change risk to the company’s business, at least to some extent, disclosure practices were fragmented, inconsistent and patchy.As part of our surveillance, it was often difficult to know whether general references to climate change risk related to physical or transition climate risks, or both.These fragmented climate risk disclosure practices, we think, make it difficult for investors to compare between companies.HOST: What can listed companies do to properly disclose climate risks? What do we expect to see from business?JOHN: We recognise that climate risk disclosure practices are still evolving (not only here in Australia but internationally). What we do recommend is that directors and advisers of listed companies consider climate risk both as a short-term and a long-term risk, and directors and officers also continually reassess existing and emerging risks and how they apply to the company’s business. Also, listed companies need strong and effective corporate governance. This includes active and informed engagement by the board. Boards play a critical role to identify and manage risk.And finally, it goes without saying that listed companies must comply with the law. Directors of listed companies should carefully consider the requirements relating to operating and financial review – or the OFR as it’s commonly called – as it prescribes certain disclosures under the Corporations Act. In fact, the law requires an OFR to include a discussion of climate risk when it could affect a company’s achievement of its financial performance or desired outcomes. Depending on the circumstances, disclosure of climate risk may also be required by the law in other circumstances, such as in a fundraising document like a prospectus or in a continuous disclosure announcement.HOST: And John, can you tell us what type of information must be disclosed to investors?JOHN: Listed companies should disclose useful information to investors – that’s the first rule of thumb. The voluntary disclosure recommendations issued by a body called the TCFD are specifically designed to help companies produce information that is useful for investors. We do not consider there is any legal or policy impediment to listed companies reporting under TCFD recommendations provided that the disclosure is not misleading or deceptive and is based on appropriate evidence available at that time. We also recommend that listed companies with material exposure to climate risk consider reporting under the TCFD framework. In March 2018, the Australian Government released its response to a 2017 report on Carbon Risk issued by the Senate Economics References Committee. The Government, in that response, encouraged stakeholders to consider the final TCFD report and its various recommendations.ASIC is closely monitoring developments and we will continue to look at this closely as market practice develops over time.HOST: Where can listeners find more information?JOHN: I’d strongly encourage people to refer to ASIC’s REPORT 593 on Climate risk disclosure by Australia’s listed companies can be downloaded from our website – asic.gov.auHOST: Thanks John. And we’ll be back with another episode of ASIC’s podcast shortly. Michael Saadat, ASIC's Senior Executive Leader - Deposit takers, Credit and Insurance, joins the podcast to discuss ASIC's review into the credit card market in Australia.Read the ReportConsultation Paper media releaseReview into Credit Card lending media releaseTranscript below:----more----Lara Heilbuth: Hello, and welcome to the official podcast of the Australian Securities and Investments Commission. In today's episode we'll be discussing ASIC’s review of the credit card market. My name is Lara Heilbuth and with me this time around is Senior Executive Leader of Deposit Takers, Credit and Insurers at ASIC, Michael Saadat. Michael, thanks very much for your time.Michael Saadat: Thank you Lara.Lara Heilbuth: So, ASIC has had a look at the credit card market – can you describe the market for us?Michael Saadat: Yeah sure thing. We’ve done a really big review of the credit card market and the report that we’ve published has lots of really interesting information in it. But just to give you some of the highlights.What we found as part of this review is that there were over 14 million open credit card accounts in Australia which has increased of over 300,000 since 2012. On those accounts, there’s about $45 billion in outstanding balances; and approximately $31 billion in balances on credit cards that is incurring interest charges.Consumers were charged over $1.5 billion in fees each year, including annual fees, late payment fees and other amounts for credit card usage.Lara Heilbuth: And what has ASIC’s review focussed on?Michael Saadat: We had 3 main focus areas as part of our review.The first was consumer outcomes. We wanted to identify the debt outcomes for consumers from their credit card products over time, with a particular attention to consumers who are in arrears, who carry debt at a high interest rate for a long period, or repeatedly make low repayments.Secondly, we wanted to look at balance transfers. We looked at when and how balance transfers are taken out, the repayment experience and their effect on credit limits and debt levels over time.And thirdly, we wanted to assess the effectiveness of key law reforms that were put in place a couple of years ago, including things like requirements for standardising how payments are allocated to outstanding balances.Lara Heilbuth: You mentioned you looked at consumer outcomes, how bad is credit card debt in Australia? And are consumers using credit cards wisely?Michael Saadat: What we found is that about 18% of people with a credit card are struggling with that credit card. And what we mean by that is that they are either missing payments, carrying a lot of debt or repeatedly repaying small amounts. This includes almost 550,000 people in arrears, an additional 930,000 in persistent debt and an additional 435,000 people who make repeated low repayments.And the reason we’ve looked at this group of consumers quite closely is because credit card products can be quite expensive and if you use a credit card in a way that it is not designed then you can end up paying quite a lot of interest over quite a long period and you can take a very, very long time to pay down your debt.And what we did was we identified that there were three groups of consumers at the greatest risk of falling into problematic debt, and that included young people who were more likely to have failed to make repayments on their credit cards; people with multiple cards were more likely to be struggling with credit card debt; and people who transfer balances are also at greater risk.Lara Heilbuth: Ok so balance transfers have been described as a debt trap. Are they?Michael Saadat: We looked at balance transfers quite closely as part of this review.Balance transfers allow consumers to transfer some or all of their credit card debt from one card to another. And through the review we looked at over 1 million balance transfers.We looked at balance transfers in detail because the Senate Inquiry into credit cards in 2015 had said that they could be a ‘debt trap’ for consumers.And what is meant by a debt trap is when: you transfer a balance to a new card; you keep and spend on the old card; and also spend on the new card; and as a result of all of that your total debt increases.We found that a majority of people actually reduce their debt after taking out a Balance Transfer, but a sizeable minority, around 1 in 3 consumers wind up owing substantially more debt.The figures show that after a balance transfer, around 32% of consumers increased their debt by 10% or more and about 16% increased their debt by 50% or more which was quite concerning.A larger proportion of people who transfer balances several times wind up with more debt. So the ‘debt trap’ risk is real for some people.However, balance transfers can be good for consumers, particularly if they reduce the risk of building up more credit card debt by cancelling old credit cards after transferring balances, and stopping their spending on credit cards after making those transfers.Lara Heilbuth: Given the number of people in Australia who have a credit card, what does ASIC think needs to be done to protect consumers?Michael Saadat: For starters, we think credit providers could be doing more to make balance transfers better for consumers. And that includes through things like providing reminders to make the consumer aware when the promotional period is about to end to help them avoid paying a higher rate of interest on any outstanding debt. And this is really important because consumers might take out a balance transfer for 12 or 18 or 24 months and when that period comes to an end the promotional interest rate could go from 0% to 20%.The second thing is we think credit providers can design products to take into account additional spending so that people are not paying higher interest on the additional spending they do do on the new card.And finally we think that credit providers can also prompt consumers to close credit cards that they have transferred their debt from.And on that last one, the Government’s recent reforms will make it much easier for consumers to cancel their credit cards including by requesting cancellation online and we think this is actually really positive.We also think lenders can do more to assist consumers by taking proactive steps to address problematic credit card debt and situations where consumers are in products that don’t suit their needs, and also not allow consumers to go over their credit card limit by too much and by not allowing them to consistently go over limit with their credit card.These are things that credit providers can already do and we saw some credit providers taking some initial steps to do this, but we think there’s much more that can be done proactively by credit providers.The other thing to mention is that we’re consulting on a new power that we have to tighten the responsible lending laws. Under our proposal credit providers will need to check that a consumer can repay the limit on a credit card within three years.The point of this is to make sure that people are not given too much credit up front and that the credit card debt can be manageable.So we’re consulting and we’re looking for stakeholders to provide us with feedback on this proposal.Lara Heilbuth: Great. So how did ASIC gather all this information to inform your review?We gathered both quantitative and qualitative data as part of this review.So the quantitative data we gathered, we used our information gathering powers to require 12 lenders, who cover over 95% of the market, to provide us with data on their customers over a 5 year period. We collected over 600 data points on each of the 20 million accounts that were open in the period of our review.And what we did was that we linked the data so we could see how individuals moved balances between lenders over time, and this helped us understand the big picture.The qualitative data we collected was also significant. We asked the 12 lenders 51 questions about their existing practices around responsible lending, hardship, the availability of balance transfers and the proactive action that they take to assist consumers.And finally we commissioned consumer research about the use of balance transfers. This involved face-to-face and telephone interviews as well as an online survey that was completed by around 800 consumers.The information that we gathered shows that credit card lenders should be doing more to assist consumers and we’ll be watching closely to see that lenders are in fact taking more proactive steps to help people with problematic debt and do more to make sure consumers end up with products that better suit their needs.Consumers can also learn from our findings and help themselves by cancelling cards they are no longer using and use balance transfers in a way that actually reduces their debt. Lara Heilbuth: So where can people go for more information?Michael Saadat: The first place people should go is ASIC’s MoneySmart website which has lots of information and tips about using a credit card, including how to avoid costly fees and interest.It’s a great resource to use. There’s information about balance transfers, fees and charges, how to choose a credit card and how to cancel one.We also have an online credit card calculator that helps you work out the fastest way to pay down your debt and how much money you can save by paying it off sooner.You can also download MoneySmart’s TrackMySPEND app which is really popular and you can track how much you’re spending on your credit card so you don’t go over your limit or end up in too much debt.Lara Heilbuth: Thanks Michael. We’ll post links to ASIC’s report and how to find out more on the information about this podcast. And we’ll be back with another episode of ASIC’s podcast shortly. ASIC Senior Executive Leader Jo Bird joins the podcast to discuss a review of self-managed super funds, and to give some advice to consumers who are thinking of setting up an SMSF.Read the reports of this review Report 575: SMSFs: Improving the quality of advice and member experiences and Report 576: Member experiences with self-managed superannuation funds, and find out more about SMSFs on ASIC's MoneySmart.----more----INTRO: Hello, and welcome to the official podcast of the Australian Securities and Investments Commission. In today's episode we'll be discussing ASIC’s review of self-managed super funds. My name is Tessa Loftus and with me this time around is Senior Executive Leader of Financial Advisers at ASIC, Jo Bird. Jo, thanks very much for your time.Thanks Tessa.Q: So, can you tell me what the review was about?There were two aspects to our review. We did a research on the experience of consumers who set up an SMSF and we also did a review of the quality of advice provided to consumers who set up an SMSFSo, first of all talking about the consumer research, there were two parts to that. We did some in-depth qualitative research with SMSF members and we also did an online survey of SMSF members.For the advice review component of our review on SMSFs we did file reviews of 250 randomly selected advice files that recommend consumers set up an SMSF.So, essentially, we looked at people’s experiences when setting up an SMSF and the quality of advice they got before they decided to set up an SMSF.Q: So let’s start by talking about the quality of advice then — what did you find in the file reviews?In 10% of the customer files reviewed, we found that the customer was likely to be significantly worse off in retirement as a result of following the advice they received.In a further 19% of the customer files we looked at, customers were at an increased risk of suffering financial detriment due to the lack of diversification of their SMSF.And then finally, in 62% of the customer files, advisers were unable to demonstrate that they had met their best interests duty – the customer might not actually have been worse off, but the adviser hadn’t demonstrated that the client would be better off as a result of following the advice.Q: So that’s a 91% advice failure rate — that’s pretty huge. What does that mean for consumers?It’s a very worrying failure rate, especially considering the importance of superannuation.The 31% of files where we considered there was likely to be significant financial detriment are obviously the most concerning, and we will be contacting the licensees who are responsible for that advice to make sure they review all their advice and remediate customers as necessary.Q: Does that mean there will be regulatory action arising from these advice reviews?ASIC has taken significant action in relation to SMSFs and the advice provided to SMSF members. In fact, there is a summary of the action we’ve taken in the report that we’ve released.We’ve taken action in relation to SMSF one stop shops and we are continuing to focus on those because of the conflict of interest inherent in that business model. In fact, we’re working on a number of enforcement matters that involve one stop shops at the moment.We’ve also highlighted risks of aggressive marketing around SMSFs and have taken and are taking enforcement action in response to that marketing.We won’t be taking action in all cases of bad of advice uncovered in the work we did for this recent review. And that’s because this review was actually a large research project and we looked at a random sample of advice. So, that meant for most advisers we only saw one piece of advice file that they had provided. We generally don’t take enforcement action in relation to one piece of poor advice. But as I said, we will be following up with the licensees to make sure the consumers are remediated.However, where in the project we saw multiple pieces of poor advice we have commenced enforcement action and are well advanced.Q: So in this review you also spoke to people who have an SMSF or have just set up an SMSF — what were the standout findings or messages that you got from those interviews?The interviews found that a lot of people aren’t fully aware of the risks involved in running an SMSF, of the costs involved, of the time commitment, or in fact of the scope of their legal obligations.A few of the specific areas where we identified problems are, we found that:38% found running an SMSF was more time consuming than they had expectedwe found that 32% found it to be more expensive to run their SMSF than they had expected33% of the consumers we surveyed didn’t know that an SMSF is required to have an investment strategy, and29% wrongly thought they were entitled to compensation for fraud or theft in relation to their SMSF.We also found worrying trends around one stop shops and lack of diversification.Q: One stop shops — you mentioned those before, what are they?One stop shops is the term that we use to describe a business model where the person providing the advice to set up the SMSF has a relationship with a whole lot of other people who are involved in the SMSF process. So, for example, often they’ll have a relationship with a property developer or a real estate agent who will then sell property into the SMSF. Or they might have a relationship with a mortgage broker who will arrange a loan for the SMSF or they might have a relationship with an auditor or an accountant who will provide other services to the SMSF.The report identified that there’s an increasing use of these sort of one stop shops by consumers who are setting up an SMSF. But we would encourage consumers to be very cautious when using them — we understand that consumers like using them, it’s convenient to go once place for all your services, but there’s an inherent conflict of interest in that business model, and that means consumers need to be careful when they take that option of using the one stop shop.That conflict of interest puts people at increased risk of receiving poor advice that doesn’t take their personal circumstance into account or that’s not in their best interests.Q: And you were concerned about a trend around diversification, what was that?Ok, we saw an increasing use of SMSFs to access the property market, but often the property was the only asset in the SMSF. Many people didn’t seem to know the importance of diversification — having different kinds of investments in your SMSF in order to manage your risks.It’s particularly important to diversify and manage risk in super, because super is actually crucial to people’s long-term financial well-being. And, I have to say, having interest in multiple properties is not diversification.Q: In that case, what would your advice be for consumers who are considering setting up an SMSF?Superannuation is very important and consumers have to exercise extreme care in choosing where to place their superannuation money and how to manage it. Making a mistake in relation to your super can have a very significant impact on your long-term financial well-being, and you may be unable to rectify the mistake in time.I don’t want to give the wrong impression — SMSFs are a good product for some consumers, but they are not for everyone and they bring with them higher risks, greater responsibility and they demand much greater consumer engagement. So, it’s important that consumers think about all of those issues before they decide to set up an SMSF. And then they have to remember that SMSFs are not ‘set and forget’, they have to remain engaged with them once they’ve set them up.Q: Obviously these are important issues for the people who have SMSFs, or are thinking about setting one up, but is that a substantial number of people? Is this really a broad issue?It’s an increasingly large issue: 1.1 million Australians own 590,000 SMSFs worth $712 billion (that covers the assets and loans of those SMSFs. So they are now a big part of the superannuation sector.The draft Productivity Commission report which was recently released in superannuation indicates that SMSFs with a balance less than $1m suffer higher costs and lower returns compared to APRA-regulated super funds and SMSFs worth over $1 million in assets.67% of all SMSFs are worth less than $1 million – that is, below what the Productivity Commission thinks is the minimum investment to generally justify setting up an SMSF.More alarming, 19% of SMSFs are worth less than $200,000. In those situations it is really quite unlikely that the SMSF is in the members’ best interests.Q: So, obviously in this review you’ve identified issues on the adviser side, but also in terms of consumer awareness, so what actions will we see from ASIC on this topic?Ok, we think this is a really big issue and we’re putting a lot of resources into it, and we’re working closely with the ATO, who are the frontline regulator of SMSFs.ASIC is taking regulatory action as appropriate, and generally putting pressure on the advice industry to improve standards, and providing as much education and guidance to the advice industry as we can to help lift those standards.We’d also like consumers to be better informed in the decisions they make. AS I’ve said, super is one of the most important financial decisions you’ll ever make, so take the time to make sure you’re making the right decisions.There’s a lot of information about SMSFs and how to figure out if they are right for you on ASIC’s MoneySmart, and we’re constantly reviewing that guidance to try to make sure we can reach as many consumers as possible, and provide them the right messages, and the messages that are helpful for them to make this important decision about their superannuation. And we’ll post links to MoneySmart and the reports from this review in the information about this podcast. Thanks very much for your time Jo. It’s a pleasure.CLOSE: And we’ll be back with another episode of the ASIC podcast very shortly. Van Le, Director of Innovation and Strategy at Xinja, was a guest at ASIC's Annual Forum in March 2018. She made time to join us on our podcast to discuss open banking.You can read the full transcript of the interview below.----more----Host: Hello and welcome to the official podcast of the Australian Securities and Investments Commission. With me today to discuss open banking is Van Le, director of innovation and strategy at Xinja. Van, welcome.Van Le: Thanks very much for having us.Host: So to start us off, can you tell me a little about what open banking is and how it’s going to change banking as we know it?Van Le: I think one of the most exciting opportunities with open banking is that it will enable customers to safely and securely share data about their finances in their banking, which will enable service providers to provide much better choice and transparency so that people can make much better decisions, much more informed and transparent decisions, around what’s best for them.Host: So this is sort of about competition and consumer choice, would you say?Van: Absolutely, in a way that empowers consumers more than ever before because the options and choices available to them can now be provided in the context of genuine data and more complete data around what those options mean for someone’s financial future. Host: And you can tell me a little bit about how Xinja fits in to this idea and what your vision for banking in the future in Australia is?Van: Absolutely. What we’re really interested in doing is creating a banking service that helps people make better choices with their money and key to that is being able to provide the information that customers need in real time – information that provides a complete picture of where someone’s financial situation is and information that’s put in context of what matters to people and what they really care about so that it takes away the stress and the overwhelm of making those financial decisions.Host: So there’ll be a lot of, I would think, social and demographic components that fit in to this concept, what about issues with people who don’t have such good access to the Internet, what about people who are less financially savvy, what about elderly people, people with disabilities, people who live in rural areas – how are you planning to address the demographic impacts?Van: A common theme in terms of what we’re looking to do at Xinja is bringing humanity back to banking, and part of that is making it possible for anyone, everyone, to access the kinds of services that you used to be able to get when you had a bank manager available down the street – someone who knew your character, someone who knew your finances and someone who could talk you through what’s best for you and what your options are. We think for many customers technology provides us the opportunity to bring even more humanity to those decisions and provide more transparency and fairness, and we also recognize that there are a number of customers who don’t have similar levels of access to technology and digital channels. That’s why for us when we say that we believe people should be able to do all their banking from their mobile phone, it’s not limited to apps, it also means you can still call someone and interact with another human being to be taken through what those options and opportunities are. Host: Obviously with the kind of setup that you’re talking about, privacy and information security will be a really strong focus for you. Can you tell me a little bit about how you’re going to approach that?Van: Yes, absolutely. It begins with bringing the best that technology has to offer in terms of protecting the data that we do have. Part of that is about managing that balance between giving consumers access and control over their data and providing the freedom to share that without exposing customers to unnecessary risk. So for example, we don’t expect that customers should have to hand over their online and mobile banking details in order to share data about their transactions. We’ve learnt a lot from neo-banks overseas, especially in Europe and the UK in terms of the challenges and also the opportunities of the PSD2 standards over there and what that might bring to open banking and the levels of security that would be appropriate for the kinds of services that we’re looking to offer. Above and beyond that I think it would be quite arrogant for any of us in the industry to say that there will never be a data or security or privacy breach - if anything, that we should be preparing for these things to happen because cyber security and cyber crimes are getting more and more advanced. But what’s important is that we’re aware of those risks and that we have policies and processes and technology in place to minimize the impact of those instances so that customers’ money is protected even if they do occur. Host: What about trust? I would think that trust would be a very significant component of the customer relationship, really for any financial institution but especially for someone that’s new?Van: Absolutely. You see numerous of stories in the media recently on the erosion of trust and the need for the industry to rebuild that trust again. In very early customer workshops and interviews one of the questions we asked them is ‘who do they trust with their money?’ And what was interesting was some of them said ‘Who I don’t trust are fund managers, superannuation funds, my bank, my husband, my 18 year-old self…’ and when we asked them who they do trust they said myself, my wife, my Mum, a term deposit. So what’s interesting there is not so much the lack of desire for trust but the demand for a different level of conduct and behaviour than what we’re seeing in the industry today. Host: And what about risk? What would you say are the biggest risks for consumers in this space? And I guess there’s probably also different risks from your angle, but we’ll start with consumer risks.Van: Separate from the technology and cyber security risks that ideally financial institutions should be taking care of, it’s also important that consumers look at risks in a similar way to how they manage their Facebook accounts. So anywhere where you’re given the opportunity to share your data, you want to make sure that you know what you’re consenting to, who’s going to get access to that data, how they would use that and how to change or withdraw that consent in the event that you change your mind. So while this opens up a whole new world of opportunity, we’ve seen what’s happened with some people with their Facebook accounts and would hate to see similar circumstances arise in the context of open banking, especially now that we know more and know what’s available to us to be able to educate consumers on how to make the most of this opportunity without putting themselves at unnecessary risk. Host: And so what about the risks from your perspective? What about the business risk? What do you think are the key challenges that you’re looking at there?Van: When we started on this journey to create a neo-bank from scratch, one of the visions we had in mind was a world where there would be open banking and more fluid and accessible data sharing so that customers could make better choices. So in some ways we’ve been designing our services to prepare for this world. And the challenge that means for us I think actually is: how do we make it easier for new technology to speak to perhaps legacy systems and still facilitate this kind of data transfer no matter what kind of technology that you’re working with. Host: So do you think the big banks are ready for open banking?Van: I wish I was a big bank so that I could tell you, I do think they have strongly recognized the desire from customers to be able to share data and quite rightly, they’re looking at ways to do that without exposing customers to unnecessary risk. Host: Thanks very much for your time today, Van.Van: Thanks very much for having us.Tessa: And we’ll be back with another episode of the ASIC podcast very shortly. 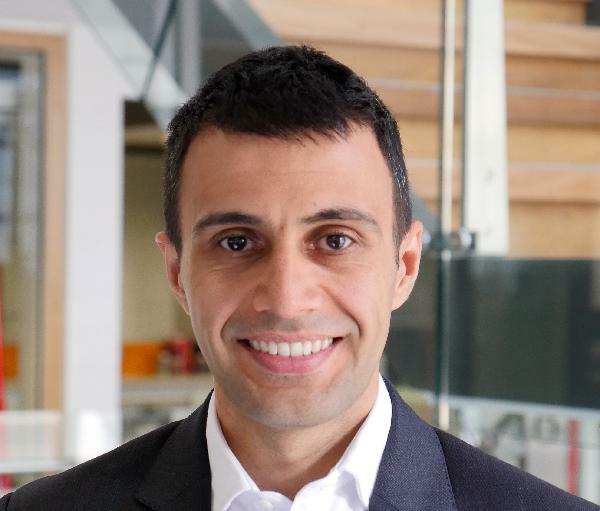 Scott Farrell, Partner at King & Wood Mallesons, joins ASIC SEL Michael Saadat on the podcast to discuss open banking.Scott headed up the Australian government's review into open banking and was asked to recommend the most appropriate model for open banking in Australia.